Here is the continuation, Part #3, of Alex’ and my “exploring Slovakia with a backpack” trip that took place in the Fall of 2011. 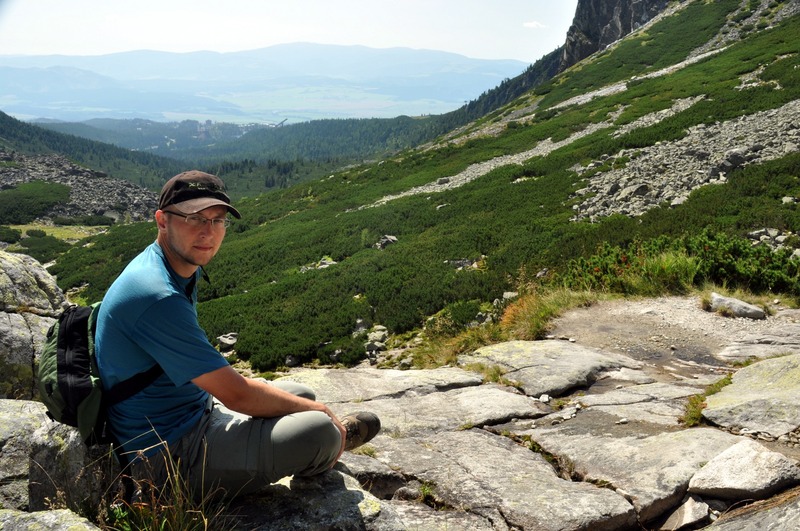 We started by through-hiking the Low Tatras, a mountain range in central Slovakia full of beautiful vistas, above-the-tree-line ridge lines, and mountain huts offering beer to the thirsty hikers. After completing the 5 day hike, we took a bus to Poprad, a town in the foothills of the High Tatras. High Tatras (Vysoké Tatry) form an imposing border between Slovakia and Poland. While the views in the Low Tatras are dominated by grass-covered hills and snaking ridge lines, the High Tatras offer vistas worthy of California’s Sierra Nevadas. In fact, our hike very much reminded me of the 16-day backpacking trip in the California wilderness along the John Muir Trail that I took with friends back in 2007 (when I still had hair). But before we would put the hiking shoes back on, we needed some much needed rest. After a night in a real bed in the Tatra Hotel and the included buffet breakfast (where we ate some 3 hot dogs, 2 eggs, 2 sausages, a yoghurt, and numerous pastries each), we decided to spend the day relaxing at Poprad’s Aquacity. One of the first things that any foreign visitor to Slovakia (and to a large extent all neighboring post-communist countries) will notice is the general apathy about upkeep. In order to get to this park, we had to walk along some run-down garages covered in graffiti, and take a sketchy foot path under a bridge. Since Slovakia does not have a sea, water parks like this are common throughout Slovakia – and well visited in the hot summer months. This one was no exception, despite charging a rather high fee by Slovak standards, some 17 EUR per person for an all-day pass. It’s quite interesting to people-watch at places like this. It was really crowded with people of all shapes. One thing we noticed was that the stomachs of Slovak guys are sort of like the rings in a tree trunk – you can estimate somebody’s age by the size of the overhang. We Slovak guys tend to be (as Alex called it) skinny fat guys: they have skinny legs and arms, but a big belly. The same seems to be true about the girls. They are very cute at the young age, but then all of a sudden balloon up and cut their hair short. Another curiosity was a really hairy “Russian-bear” character parading around in tiger-stripped speedos. At the park we grabbed some beers and langoše and relaxed in the water. The park also has a nice cafeteria which actually serves decent food. We had Hungarian goulash there. 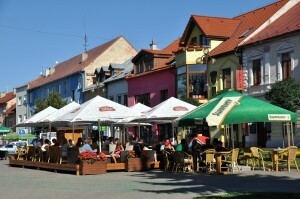 From the park we headed to the picturesque downtown Poprad. Since it was a Sunday, many shops were closed, but this did not extend to the town square restaurants. We passed a group of folks singing by the historical Church of St. Egidius and then stopped by pizza at the CafeRAZY hotel. The next morning we took a bus to Štrbské Pleso, a resort town in the High Tatras. 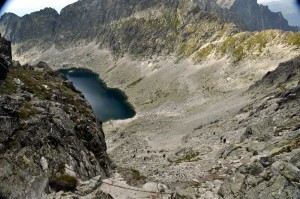 The word pleso means a tarn or a mountain lake. The town is named after an equally named tarn the town sits next to. This town contains many luxury hotels, including the Grand Hotel Kempinski. It is also the starting point for a large number of hikes. 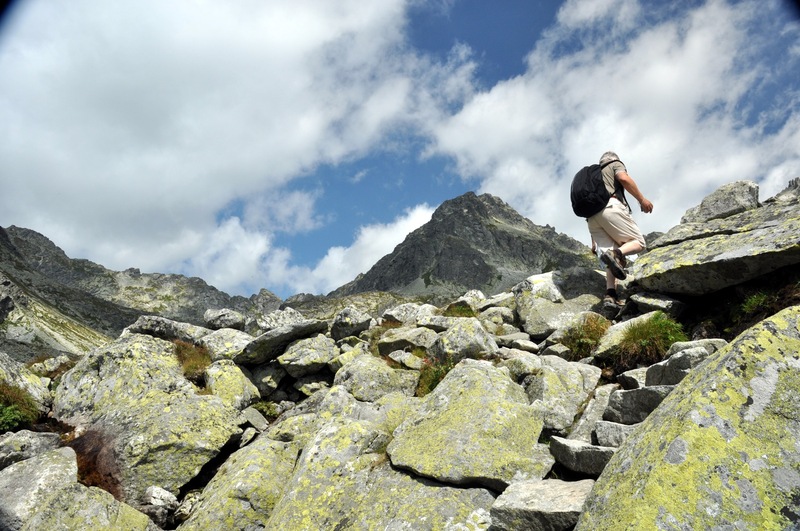 If you enjoy challenging hiking you will find yourself right at home in the High Tatras! You can easily spend few weeks here exploring the various trails. There is even a High Tatras version of the Low Tatras magistrála. We contemplated hiking up Rysy, but settled for the “yellow” loop, which you can see on this map. This circular route goes up Mlynická Dolina (dolina means a valley), crosses the Bystrá Lávka saddle, and returns through the Furkotská Dolina. This is one heck of a hike! 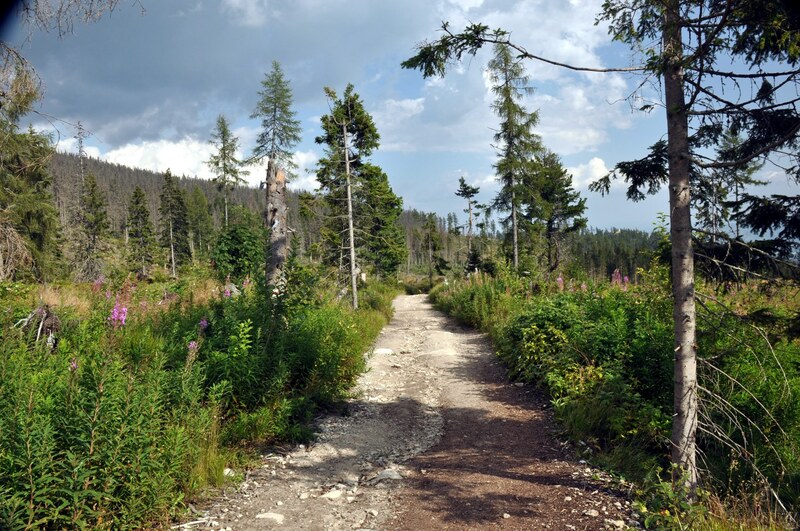 One thing you will quickly notice while hiking in Slovakia is that the level of difficult for a normal, stroll-in-the-woods type of hike is much higher than in the US. While in the US you may find switchbacks, in Slovakia you will go straight up. And while you will hardly ever have to take the hands out of your packets on US trails, chains and ladders make a common travel companion in Slovakia (such trails are called via ferrata). This trail is no exception. About half-way up the first valley you will arrive at the vodopád Skok (waterfall Jump). Here you will encounter the first set of chains. These are not particularly challenging. The view from the top of the waterfall is amazing. You can see all the way back to town, and can even see the prominent ski/bungee jumping platform. These are some of the amazing views you will get as you make your way up Mlynická Dolina. The second peak is Solisko. You can take an aerial tram up to the ridge line from town. Here is the waterfall Skok. The trail, protected by chains, goes up to the left of it. You will get a nice view from the top. This waterfall is fed by the first large tarn (pleso) you will encounter as you make your way up the valley. The trail follows this general stair-case pattern: you climb up a headwall, then arrive at a flat land with a lake. 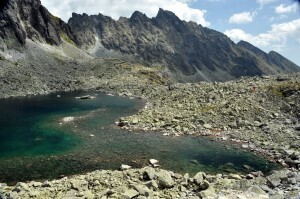 The final tarn is called Capie Pleso. Here the trail veers left and heads for a “saddle” on the ridge. It really is more of a notch than a saddle. This is where the trail gets rather sketchy. There are several chains leading to the top and the route is rather exposed. Getting to the saddle requires you to basically pull yourself up on chains. But the view you get from the top is absolutely spectacular. 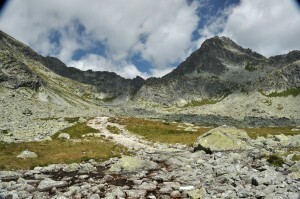 The other side looks much more like moonscape, with a large mountain eye, Vyšné Pleso (higher tarn) peeking back at you. This area really reminded me of the Sierra Nevadas. Alex, the climber he is, decided to make his way up the rock formations to the absolute top, while I sort of hang out and hoped not to fall over into the abyss. This section is intended to be one way (the way we came), but in reality there were few people making their way up from the other side. We descended into the valley and then continued down the Furkotská Dolina back into the shrubs (kosodrevina) and finally an evergreen forest (ihličnatý les). We met up with the red-blazed magistrála, which we took back to town. Here is a view of one of the several tarns you will encounter on this hike. The second picture shows the trail and some hiker. As you make your way up, the scenery will become more and more alpine. Trees will turn into shrubs, which will turn into grasses, which will finally give way to mosses and barren rocks. 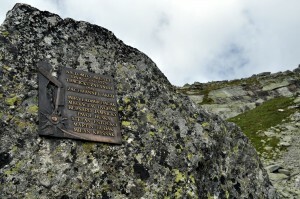 Along the way you will also encounter a memorial dedicated to mountain rescue team which perished during a failed rescue attempt in 1979. 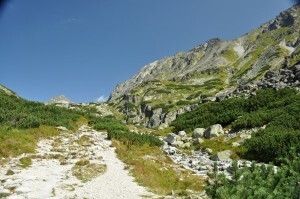 The second photo is a look back at Capie Pleso from the route as it starts making it’s way up to the saddle. And here are two shots of what the ascent up to the saddle looks like. Right before you get to the ridge you will get to a section where you basically have to pull yourself up on chains. But the scramble is totally worth it – the view from the top to Furkotská Dolina is absolutely astounding. 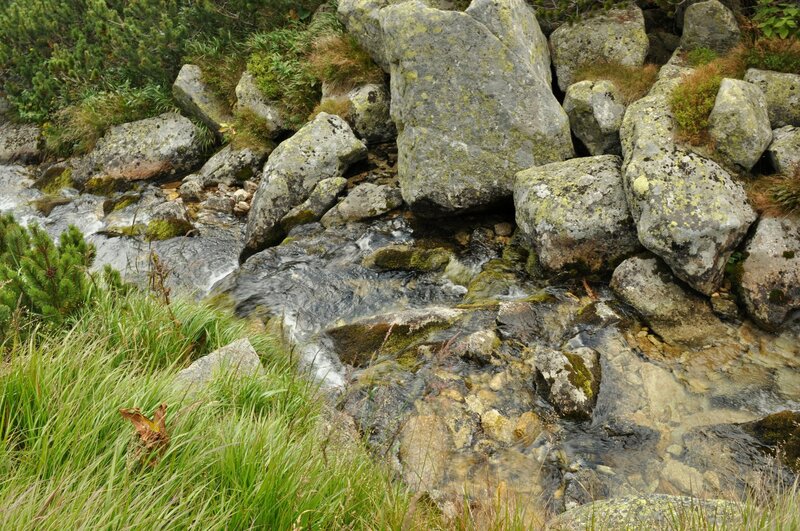 Not too long later you will find yourself back among vegetation and bubbly mountain brooks. 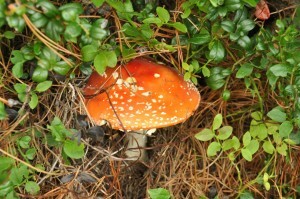 Along the way we found another beautiful fly agaric, or red amanita (muchotrávka červená). Don’t eat these. 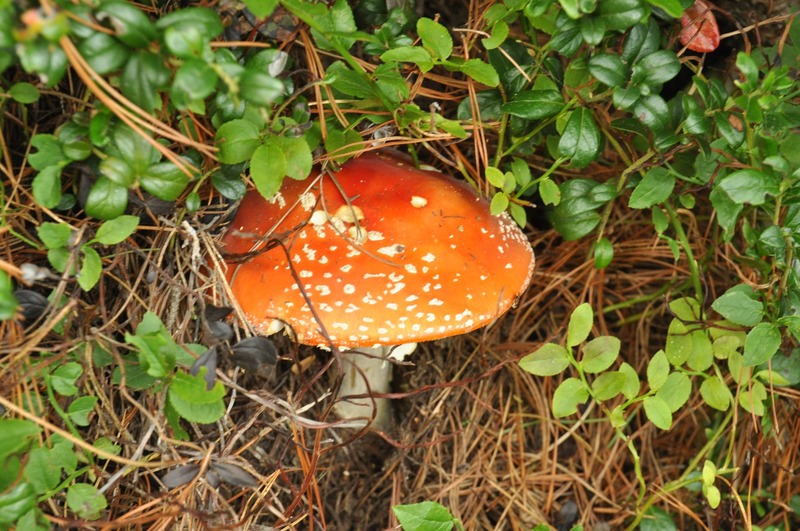 Although not as toxic as its deadly cousins, the white and green amanita (known as destroying angel and death cap in English), they can still mess you up. The trail back to town still shows evidence of the winter storm that struck Slovakia in the Fall of 2004. In Štrbské Pleso we took a metro-like electric train back to Poprad. It was really nice and much better than the bus from the morning. An elderly woman from Košice sat down next to us and starting telling us about her handiworks. She is part of a team of grandmas that get together to make handicrafts and then she travels here to sell them to tourists. She had a variety of items: crocheted cloths, Christmas decorations, Easter eggs, table cloths. But I wasn’t too impressed with them. The Easter egss were just painted, I am used to seeing them decorated with hot wax or pieces of straw. She also carried an assortment of herbs for ailments like headache and “women problems”. Alex ended up buying few Christmas tree angel decorations. 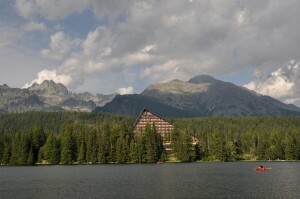 Štrbské Pleso from which the town took its name. 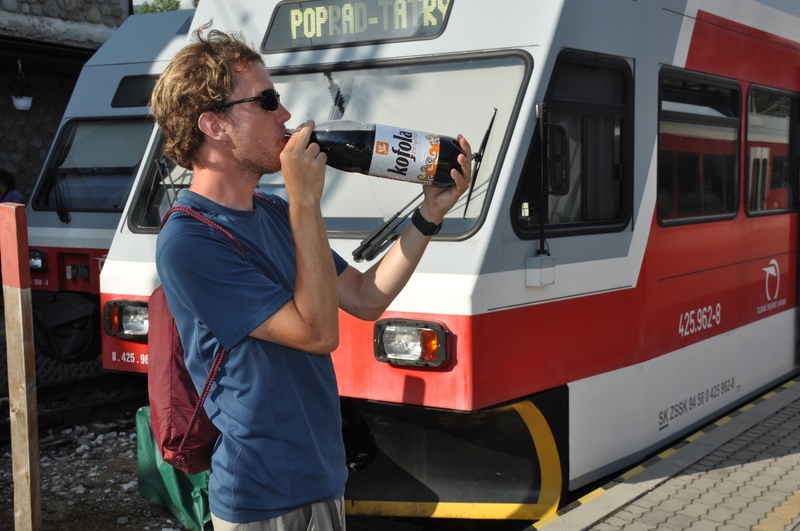 The second picture is of Alex drinking the super popular Cola drink Kofola right before we boarded our train back to Poprad. 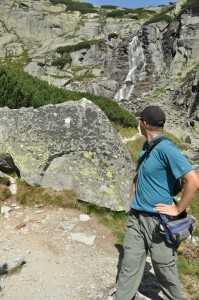 We returned back to the High Tatras the following day. But that is a topic of a future post. 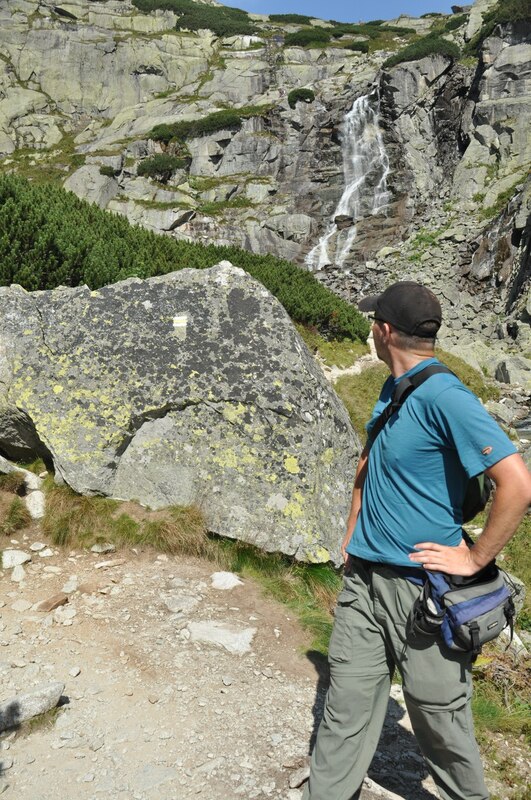 Continue onto our second hike, Hrebienok to Skalnaté Pleso. By the way, I can’t wait to go back. 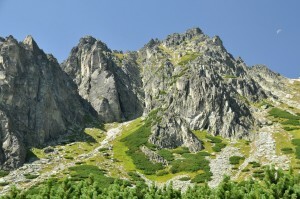 I think my next big Slovakia trip will consist of through hiking the High Tatras. that’s a little bit more tricky! 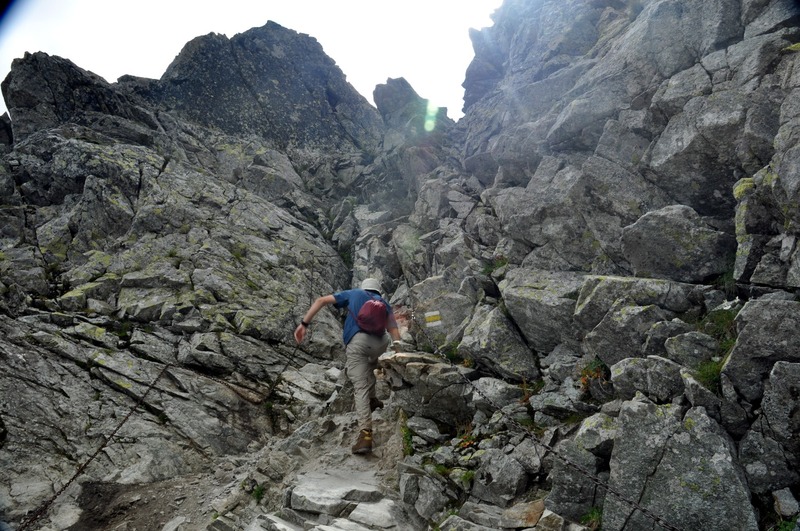 There is no straight trail for hiking through High Tatras, it’s usually day trails to a passage or a peak, in loops coming back to where you started, or to get you to a climbing point. Not many chalets in between, yet, you can design a trip, that is based on a daily hikes, coming back down and the next day to start a different route. I love High Tatras, though I understand that these days it’s overran by many foreign tourists and trails are full of folks like a shopping malls. When we hiked in High Tatras some 40-45 years ago, it was just a solitude and you may not have run into another person the whole day. BTW, photos bring some memories, not all of tghem good. That picture of memorial plate of maitain rescue team that parrished includes a name of Martin Hudak I knew. Yeah it was a rescue team with helicopter coming down in a bad weather. Hi Miro, there is actually a through-hike, a red blazed magistrála. The problem is that, unlike in the Low Tatras, this trail keeps to the valleys. In order to experience the real beauty you have to take the other routes. 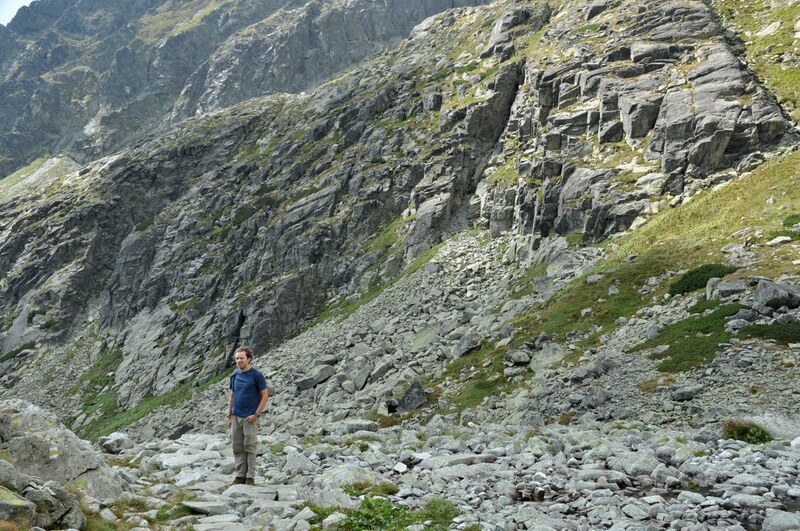 Another thing that could be interesting (and quite difficult) is to traverse the entire Roháče range. I read some trip reports and it seems bit sketchy, though! Well yeas, that’s what I was indirectly saying, “magistrala” goes through valleys but the real fun and beauty is going up on day hikes. I heard about Rohace range, not sure about camping or having overnight huts on a way. Twas too long ago when I was hiking in tht area and things might have changed. Anyway it would be good way to spend a couple of weeks, whichever way you would do it. The photos are beautiful – makes me want to run away to the Tatras – but I’m about 50 years too late for that. I am so glad you published them for all to enjoy. Thank you. seriously, 50 is as good age as any, unless you have some serious health problem. When I was 50 I was hiking Grand Teatons much higher and steeper than anything we have in Slovakia, and at 55 I hiked Glaciar National park, 2,000 meters elevation change in one day hike. But never make the age something to hold you back! HEY I FOUND IT!! EVERYBODY SING! Iam going to the Slovakia High Tatras in August 2012. Looking for recommendations on what hikes to do. Peter, it all depends on a lot of thing. 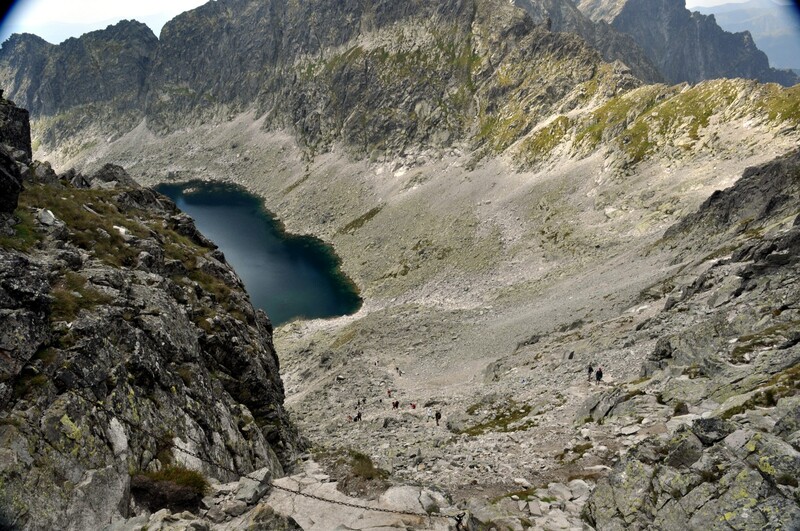 Aka, how many days will you spend in High Tatras, are you in advanced hiking, aka taking 12 hours hike is rather steep terrain or are you just trying to take an easy hike and enjoy the scenery? I hate to make a recommendation that won’t fit your needs. You can take a long round trip hikes, starting in one valley and coming down through different valley. These are more difficult hikes but beautiful scenery. If you want just to enjoy a scenery, you may take a cable train to Lomnicky stit and just walk around and enjoy the scene. As I said, it depends, when you say what would you like to do, then we can come up with recommendations. Looks familiar to me. Have been in my very youth (10-13) to some of them. Quota: After completing the 5 day hike, we took a bus to Poprad, a town in the foothills of the High Tatras. Are you sure about it? Since when they switched the place, didn’t like Poland as a neighborgh? 🙂 Could you, please, correct this I believe “typing error”? THANK YOU!!! yeah well, you are right, I am sure Lubos just confused the two in a haste of doing other stuff, and he indeed had lot on his shoulders as of recent times. Thanks for catching this Eva (and Miro). Corrected. I believe that regulations in High Tatras are similar to the ones in Low Tatras, in that you can camp only in designated areas around the huts. 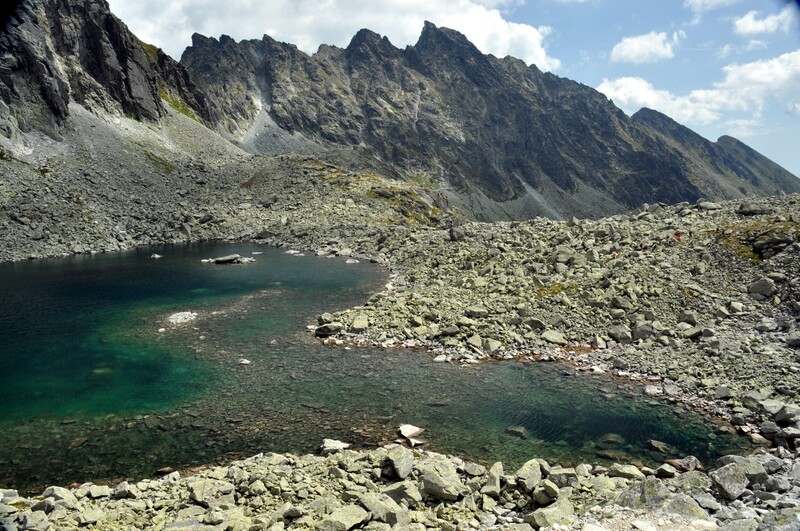 High Tatras has an even more fragile ecosystem (due to the high elevation) and as such, it is necessary to reduce the impact from campsites. you are right. 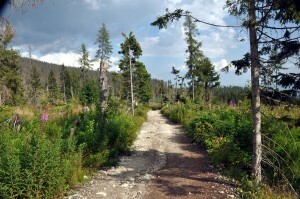 As a matter of fact there is only one camping place on Slovak side of High Tatras – in Tatranska Lomnica. There are three campingt sites on Polish site. If hiking is your liking you will not get borred! A lot of day hiking trails. You got to pick up trails that you can chike/climb without a guide. 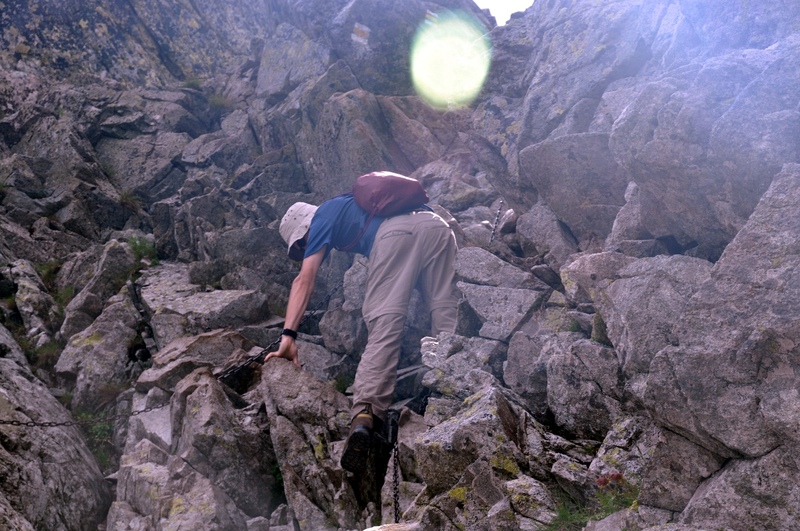 Some difficult passes/peaks are accesible only with a guide. Just a month ago there was a serious accident and rescue operation (more like retrieving dead bodies) where on Polish side of a mountain a guide, who was not even certified, used a difficult trail and folks fell off the mountain. 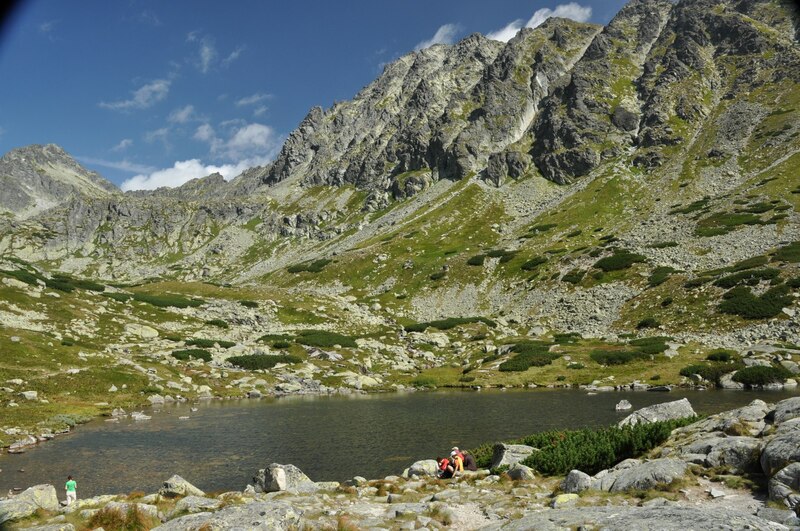 the best and the most spectacular hiking in the High Tatras Mountains is during the Indian summer – usually end of september – beginning of October. 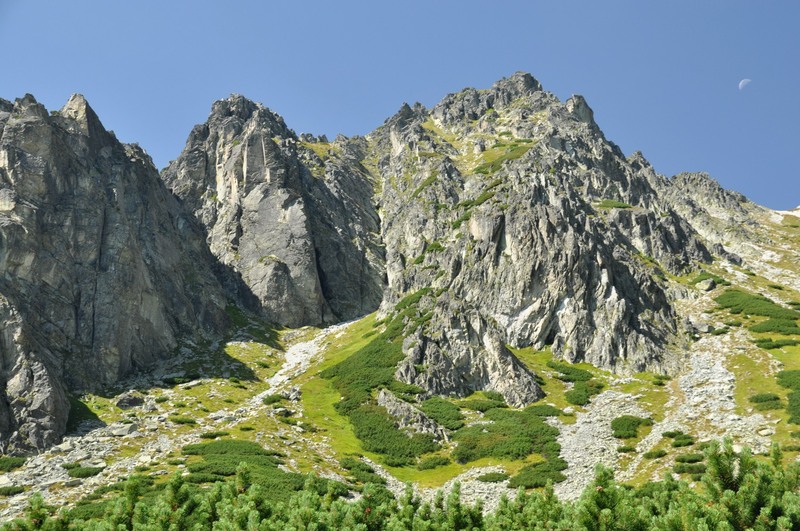 No camping and no tents are allowed in the High Tatras – hiking areas. Anyway there is many reasonable huts and sleeping opportunities for hut to hut trip or similar. 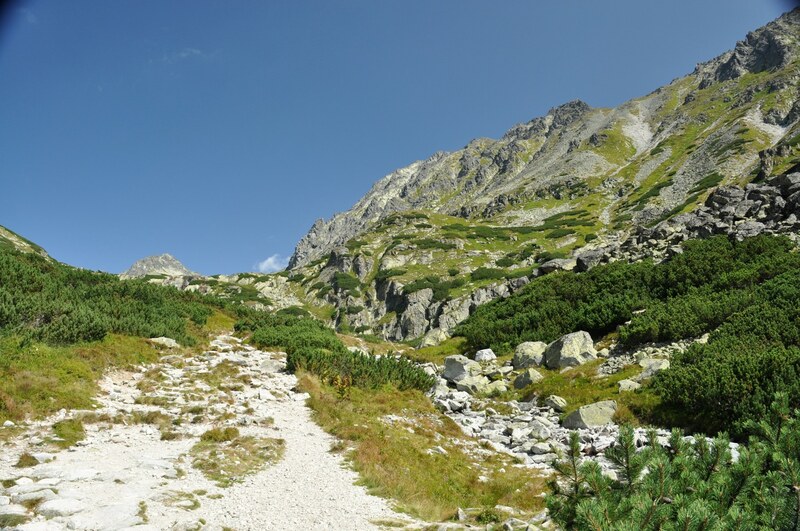 Just one more comment: the most common hiking in the High Tatras Mountains is during 15.6-30.10. each year – all hiking trails are open public. Hello! In a couple of days I will be back to Slovakia, and we’ll explore high Tatras for the first time (driving our own car). May I ask you some help? 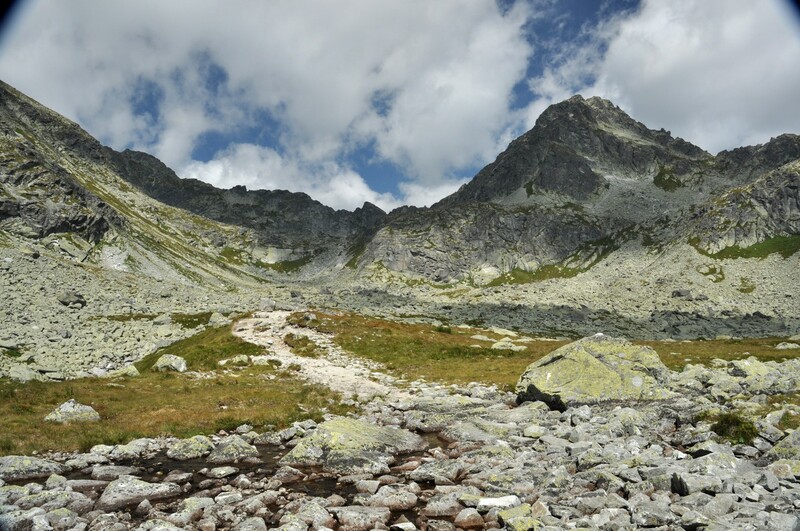 We need to book – last minute – 2 nights in Poprad and the idea is spending a full day surrounded by nature, enjoying an easy/ average trekking. I’ve felt in love with Strbske Pleso, and I would like to understand how to make the most out of our time (and money) and what else we can do on the 19th of August. Hi Valerie, sorry for getting to this just now. Hopefully your trip went well. 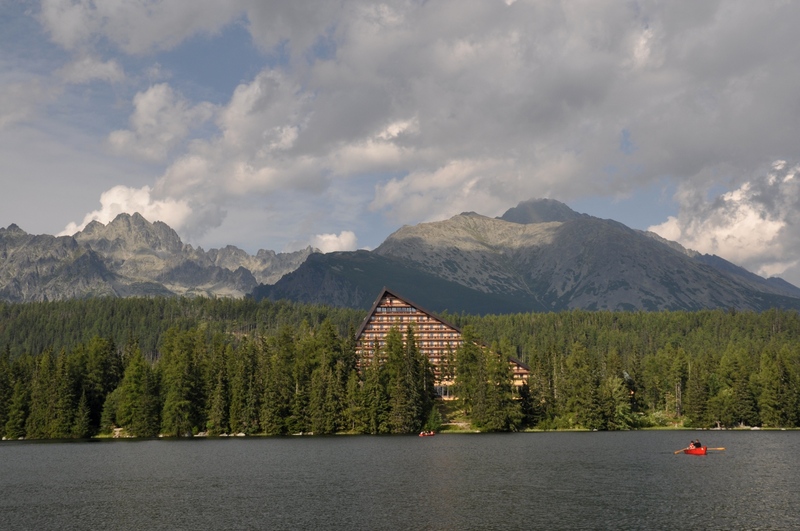 You probably found out that Strbske Pleso is quite packed with tourists in the summer. Hopefully you were able to enjoy some nice hiking. Hello, wanting to hike for 4 or 5 dos and stay in huts can you recommend a trail or connecting trails. 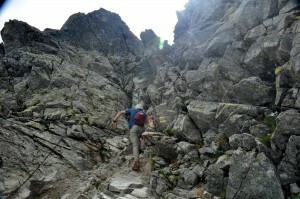 Like the idea of vistas and valley hikes and come from Colorado so use to hiking in terrain like this.